Our colleague Gidon Shaviv alerted us to the following headline fail at the website of Europe’s most watched news channel, EuroNews. 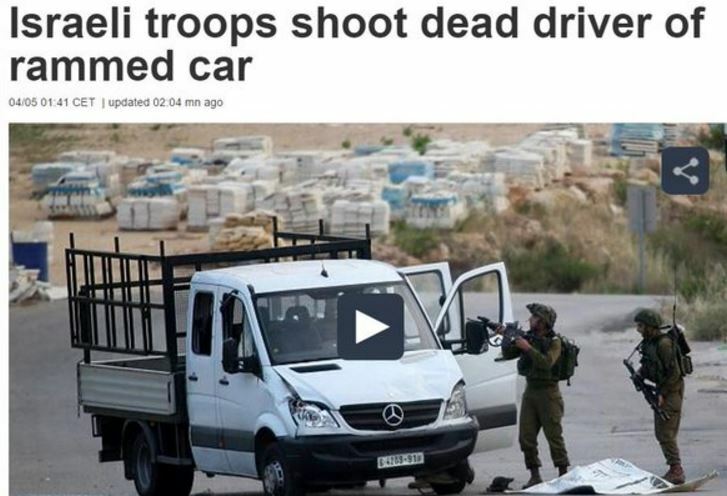 The extaordinarily confusing headline obscures the fact that a Palestinian terrorist rammed his car into several soldiers at a West Bank checkpoint, critically injuring one of them. Other soldiers then shot and killed the driver terrorist. We then tweeted a EuroNews editor. However, we received no reply, so we tweeted the managing editor, Peter Barabas. Later that day, we received a message from Barabas apologizing for the headline, and promising to revise it accordingly. We commend EuroNews for responding positively to our complaint and revising the problematic headline. 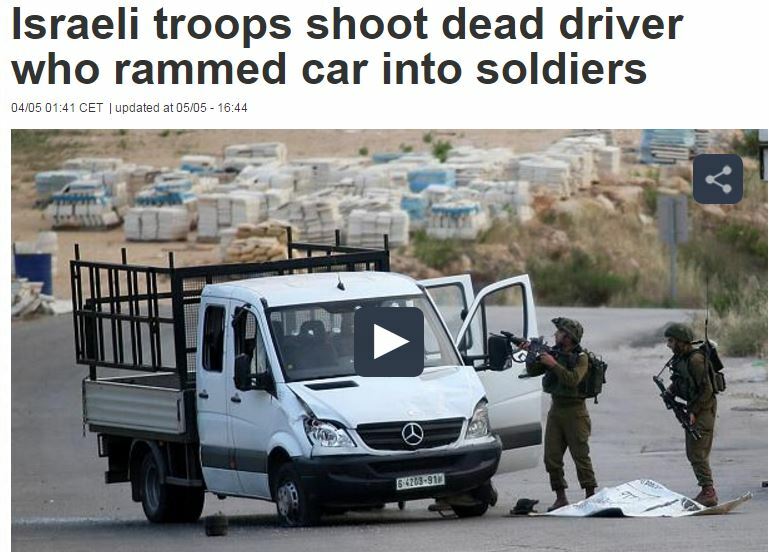 “Israeli troops shoot dead driver….” Is piss-poor editing. Can you imagine the headlines if they’d shot a driver who was alive? Never mind that. It’s the usual bigotry of FIRST stating the effect, and THEN the cause. Anyway, in English ‘shoot dead’ is a std collocation. Drives me crazy. Though standard collocation as Leah stated, it is painful to read. It should be “shoot driver dead,” but that wouldn’t cause brain cramps. “… but not NECessarily in the right order”. I should have checked it out on YouTube first. One of the funniest things on television, ever. Morecambe was a genius.